Women’s, Gender, and Sexuality Studies is pleased to announce that we have successfully completed a search for a new Assistant Professor in the field of gender, sexuality, and transnational migration in the global south. Vanessa Agard-Jones will be joining us as our newest faculty member. Vanessa is a political anthropologist, specializing in the study of gender and sexuality in the African diaspora. She earned her BA in Political Science at Yale (CC ‘00) and an MA in African American Studies at Columbia. A National Science Foundation Research Fellow and recipient of the French Embassy’s Bourse Chateaubriand, she will earn her Ph.D. from the joint program in Anthropology and French Studies at New York University in May 2013. Vanessa has two principle projects afoot: her first, provisionally titled Sovereign Intimacies, builds from 20 months of archival and ethnographic research in Martinique to demonstrate how ordinary experiences with gender and sexuality frame analyses of power and ideas about self-determination in post-slavery societies. Her second project, provisionally titled Toxic Diasporas, examines the circulation of a hormone-altering pesticide in the Atlantic World and focuses on the relationship of racialized and gendered bodies to their environments. Vanessa is the Managing Editor of Small Axe: A Caribbean Journal of Criticism and formerly served on the Editorial Working Group of Souls: A Critical Journal of Black Politics, Culture, and Society. 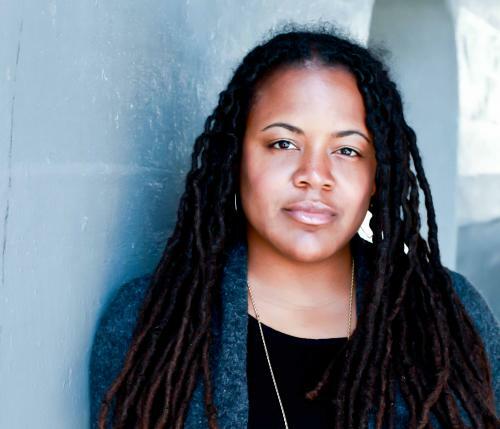 Outside of academe, she is the former coordinator of Oakland’s Prison Activist Resource Center and is former Board Chair of New York City’s Audre Lorde Project. Vanessa has been a guest faculty member at Sarah Lawrence College since Spring 2012 and has also taught courses at City College/CUNY, the Joseph S. Murphy Institute for Worker Education/CUNY, Columbia, and New York Universities. Vanessa will arrive on campus in Fall 2014 after completing a year’s postdoctoral fellowship at the Columbia Society of Fellows in the Humanities.